This book prepares current and future educational leaders to adapt to the changing terrain of U.S. demographics, education, and immigration policy. 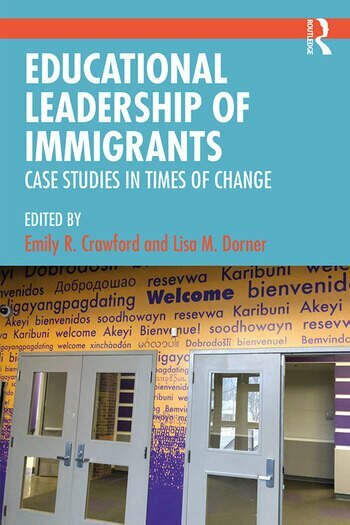 Educational Leadership of Immigrants highlights educational practices and discourses around immigration that intersect with policies and laws, in order to support K-12 students’ educational access and families’ participation in schooling. Drawing primarily on research from the fields of educational leadership and educational policy, this book employs a case study approach to address immigration in public schools and communities; school leaders’ responses to ethical dilemmas; the impact of immigration policy on undocumented students; and the varying cultural, socio-political, legal and economic contexts affecting student’s educational circumstances. • Draws out current challenges in education facing immigrant students, their families, educators and school leaders, especially with changing immigration law. 14: School Choice and Immigrants: Do Families Choose or Do Schools Choose? Emily R. Crawford is Associate Professor of Educational Leadership and Policy Analysis at the University of Missouri-Columbia, USA. Lisa M. Dorner is Associate Professor of Educational Policy and a Faculty Fellow of the Cambio Center at the University of Missouri-Columbia, USA.